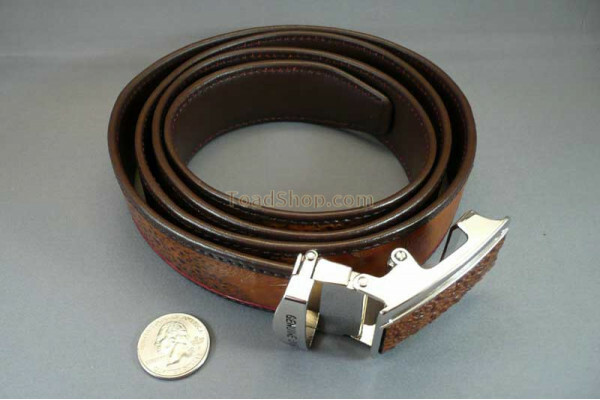 A beautiful leather belt with Italian style auto buckle (no holes). Made with Australian Cane Toad skins. 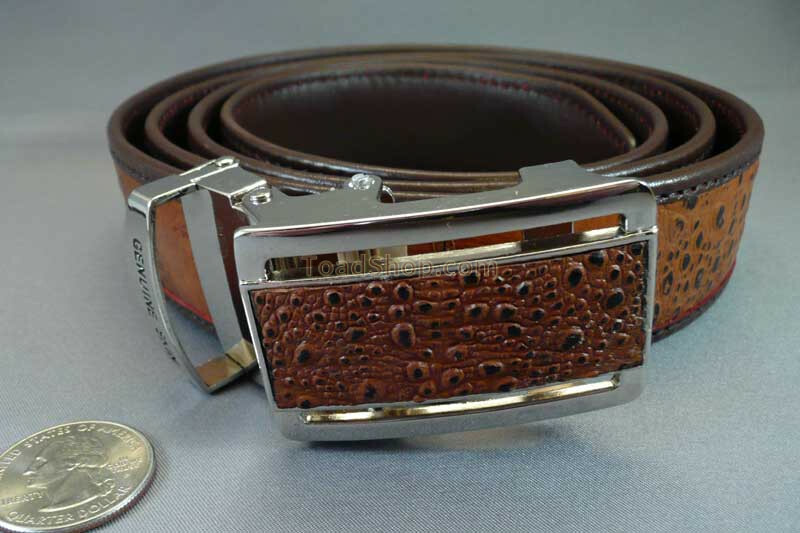 This belt has an Italian style auto buckle (no holes) and can easily be cut down to a shorter length. 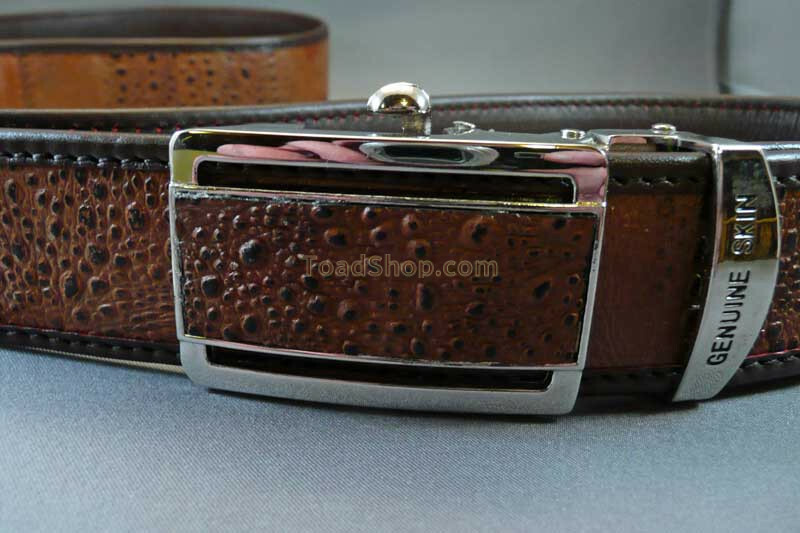 Impressive in many ways, this Cane Toad belt is well constructed. There are no holes in the belt so you can adjust it to whatever size you need it to be on a daily basis. The buckle and slide on the belt is amazing. When I looked at it and tried it out, it was easy to adjust, stayed in place, and released with very little effort. The belt measures 52 inches (132cm) in length.